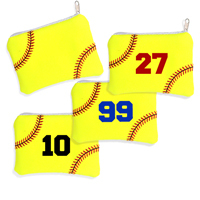 Are you looking for the ultimate softball themed gift? Our top selling Softball Rose™ Grand Slam Bouquet will not only hit a home run in the heart of the softball fan, it will hit a GRAND SLAM. The Softball Rose™ "Grand Slam" Bouquet contains a full dozen Softball Roses™ arranged into an unforgettable bouquet that lasts a lifetime. We carefully create each petal of the Softball Rose™ by hand out of genuine optic yellow softball leather to form a bloom that amazes softball fans. 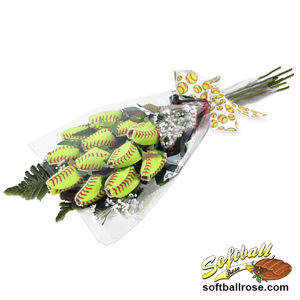 A bouquet of Softball Roses™ is a perfect gift for a birthday, anniversary, wedding or graduation. 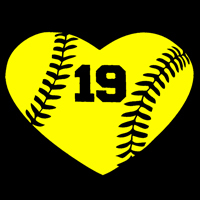 A Softball Rose bouquet can also be given as funeral flowers to show your deepest sympathies to a family that has recently lost a softball fan or player. Petal Personalization - We'll personalize 1 Softball Rose in your bouquet for $5 additional charge. Personalization is printed in ALL CAPS in black athletic style font. We can personalize additional roses by request for an additional $5 per rose (call us at 619-551-6651 to request personalization on more than 1 rose). 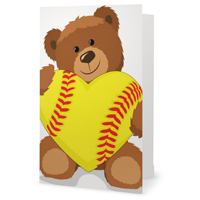 Or we can print your message on the card at no additional cost. 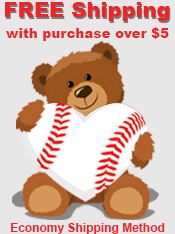 Choose the "Add Free Gift Message" option available in the shopping cart during check out. From Angela of Scranton, South Carolina on 6/15/2016 . I loved the idea of softball roses however didn't know how Gorgeous they would be until I . . .
From Jaime Warner of Flatonia, Texas on 2/25/2016 . Wow !!! She was really happy. My niece players softball for South Carolina. What a great gift. . . .
From Anonymous of Sun Prairie, Wisconsin on 5/14/2013 . These are amazing! Can't wait to give them to her on graduation! From Tom LeBeau of Keller, Texas on 4/29/2013 . The softball roses are beautiful and worth every penny and will be cherished by my daughter . . .
From Deanna Sloan of Benton, Tennessee on 4/27/2013 . Roses were great! The shipping cost is aweful.. I ordred my roses in March to make sure that . . .
1/25/2013 – How long does it take to receive my order? 1/25/2013 – Why are Sports Roses so expensive? 1/25/2013 – Are Sports Roses Real Or Fake? Do they need to be watered? Will the stems stay fresh if I order early? 1/17/2013 – Can you make a custom bridal bouquet or wrist corsage with Sports Roses? 9/26/2011 – Is the stem real? 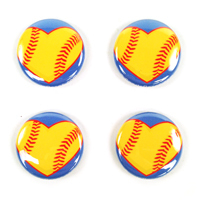 Love Softball? 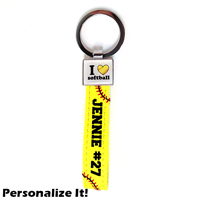 Show off your passion with this durable and stylish keychain made from softball material. Made from genuine softball material. 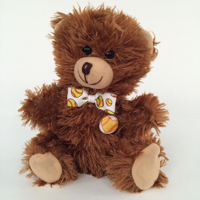 Perfect gift for softball players.